Specifications 1. Superior life 2. copper or aluminium 3. CE certificate,OEM approve 4. Competitive price YS series Three Phase AC electric motor 0.25KW YS Electric Motor description: YS series Three Phase AC electric motor 0.25KW is a fully enclosed three-phase asynchronous motor with self-fan Cooling system and a mouse-cage shape. It is widely used on the mechanical equipment in common places where there are no inflammable, explosive and corrosive gases and in places with no special requirements, such as the machine tools for cutting metals, exhaust fan and transportation machinery. Speed 960-3000rpm Relative humidity not higher than 85% YS Electric Motor main technical parameter: YS Electric motor Packaging: Packing: Small size:standard export packing(carton and plled) Big size:fumigated wood carton or non-wood packing material carton Shipping: by sea ,by air,by rill way YS Electric motor mounting: YS Electric motor manufacturing process: &bull; Stamping of lamination &bull; Rotor die-casting &bull; Winding and inserting &ndash; both manual and semi-automatically &bull; Vacuum varnishing &bull; Machining shaft, housing, end shields, etc&hellip; &bull; Rotor balancing &bull; Painting &ndash; both wet paint and powder coating &bull; Motor assembly &bull; Packing &bull; Inspecting spare parts every processing &bull; 100% test after each process and final test before packing YS Electric motor pictures: Hot products: Contact information: Many thanks for your visit! 8 YRS Hangzhou Yiding Transmission Machinery Co., Ltd.
electric motors : Motor Specification: Three Phase Gear Motor Single Phase Gear Motor Three Phase Gear Motor Gear All built-in gears are high precision processed by high grade special alloy steel and through carburizing and quenching. Material of gear case Alloy steel moulded shapement (shaft dia. 18,22,28), cast iron moulded shapement (32,40,50) Lubrication The machine is injected with high class lubrication inside when dispatched, so no need to add. This series motors are designed and manufactured in accordance with NEMA standard of U.S. These motors are of a novel style and of excellent workmanship. The motors adopt design Band class F insulation, Their service factor is 1.15.
b) YS series motors have the merits of beautiful modeling, compact structure, low noise, high efficiency, large starting torque, easy serving, etc. The motors are adopted with F class insulation and designed with assenssing method for insulation system according to international practice, it enhances greatly motor's safety and reliability. c) YS series motors are widely used in many places, such as drilling machines, pumps, fans, mixer, transport machines, food machines, agriculture machines and equipments, etc. 3 YRS Hangzhou Dele Electrical Co., Ltd.
3 YRS Wenling Tianlun Motor Co., Ltd.
1 YRS Jiangsu Jing Steel Electric Power Equipment Co., Ltd.
Y connection is adopted for motors below 3KW and connection is adopted for those above 4KW. We are Industrial Trading Company, have our own manufacturing bases for some items specially. Welcome to come your quotation ,please. single phase induction motor YS series motor is afully enclosed micro three-phase asynchronous motor with the latest design. with features like simple structure, reliable performance,easy maintenance and achievement of technical-economic targets, the products have been widely used in the small-sized machine tool,medieal equipment and electonic instrument and househole electric appliances and so on. YS motor series have Protection Class of IP44, Insulation Class of E or B, Cooling Method of IC411. Working condition: Ambient operation temperature: It may vary with the changing weather but never exceeding 40&deg;C.
14 YRS Zhejiang Hongda Group Dafeng Electronics Co., Ltd.
1 YRS Zhejiang Yitong Machinery & Electronics Co., Ltd.
Alibaba.com offers 3,104 ys electric motor products. About 33% of these are ac motor, 2% are electric bicycle, and 1% are dc motor. A wide variety of ys electric motor options are available to you, such as ccc, ce. 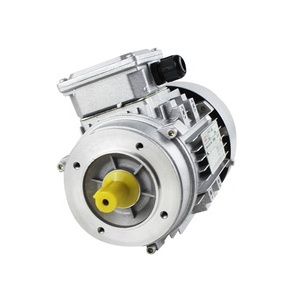 You can also choose from asynchronous motor, induction motor. As well as from totally enclosed, explosion-proof, and drip-proof. And whether ys electric motor is three-phase, or single-phase. There are 3,104 ys electric motor suppliers, mainly located in Asia. The top supplying country is China (Mainland), which supply 100% of ys electric motor respectively. Ys electric motor products are most popular in Southeast Asia, Africa, and Mid East. You can ensure product safety by selecting from certified suppliers, including 488 with ISO9001, 273 with Other, and 12 with ISO14001 certification.